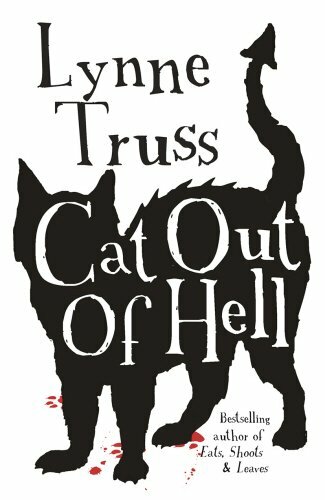 Cat out of Hell, by Lynne Truss. This is a wonderful laugh-out-loud mystery and suspense novel that is intriguing, funny and thought-provoking all at the same time. It’s also horror story – of sorts. It’s been described by the Sunday Telegraph as a ‘masterpiece of comic writing’ and is definitely the sort of book that you’ll want to read in one sitting. 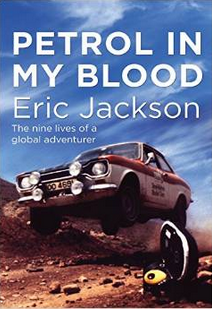 I admit to taking time from my working day – something I only rarely do – to read this fabulous book. Alec, a middle aged librarian, hasn’t had a good time recently. He has lost not only his job, but he has also just lost his wife. So he had rented a lonely seaside cottage for a month to get away from it all.His only companion is his faithful dog, Watson. He takes his laptop but there’s no internet connection, so he studies some curious files that a colleague at the library has previously emailed to him. There are text documents and audio files, created by a man called Wiggy. They reveal that Wiggy is mid-thirty year old unsuccessful actor and writer. He tells how he travelled to his sister’s home because of a worried phone call she made to him.When he gets to her home, she has disappeared. So has her dog. The only occupant of her cottage is her newly-acquired cat, Roger. Her clothes and handbag are there, her phone is charging, nothing has been disturbed but she has disappeared completely. Wiggy is worried enough to call in the police but they don’t seem to be concerned. Alex reads on as Wiggy explains that once the policeman has left, Roger the cat is pawing at the door wanting to be let out but Wiggy is too preoccupied to do anything. Poor Roger went over to Wiggy, looked him in the eyes and said distinctly ‘Let me out’. Alec, without meaning to, becomes embroiled in the story about Roger. He contacts the colleague who had sent him the files, contacts Wiggy and is soon enmeshed in a dark and disturbing mystery bristling with evil, murders and the devil himself. Find out more at Amazon. Love them or hate them, you will never feel the same way about cats once you’ve read this book. If the name of the author seems familiar to you, that’s because she is the writer of the utterly wonderful Eats, Shoots and Leaves – the book you see on the right. Even if you absolutely hated doing English lessons at school and you don’t know a semi-colon from a semi-automatic, then you’ll still love this funny approach to grammar and punctuation. But if you’re like me and you love words, then this is an absolute must for your bookshelves. English grammar can be amusing? Oh yes, read the book and see.